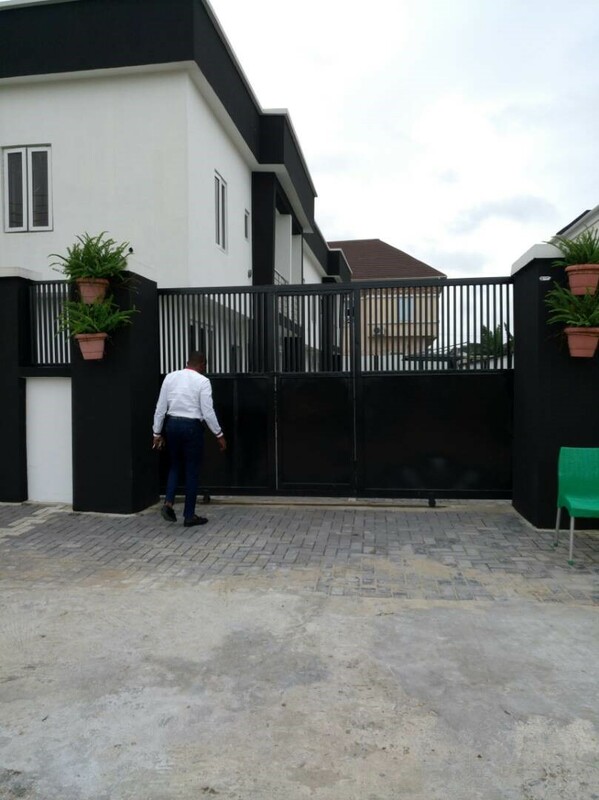 This is a 3 bedroom terrace with an attached maid’s room located within a gated estate “Lekki County” just after Chevron in Lekki. This 3 bedroom terrace property is neat, well finished and is within a close walking distance from the estate gate with a well paved road. The compound gated with 4 units of this terrace, which makes it even more secured. Ground Floor: a large well finished sitting room, kitchen with cabinet, maid’s room and a backyard. Family lounge, 2 cosy rooms and a large master bedroom. Please note, 2 rooms upstairs share 1 toilet for the middle unit while all the rooms come ensuit for the end unit of the terrace. Please note: only 1 end unit is currently available.